Yarico, an Amerindian beauty, is a young woman with great dreams and a fierce, independent spirit… When Inkle, the third son of a British merchant is shipwrecked on her island, he faces certain death at the hands of the islanders. 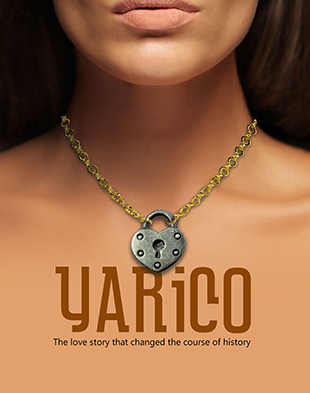 In a courageous act, Yarico intervenes and saves him from his fate, marking the beginning of an extraordinary love story, which ultimately takes them to the island of Barbados. The story of Yarico was first recorded by Richard Ligon in his book: True and Exact History of the Island of Barbados published in 1657. On hearing her story, Ligon wrote: “And so poor Yarico for her love, lost her liberty. Yarico, with music by James McConnell, lyrics by Paul Leigh and book by Carl Miller, will run from Tuesday 17 February to Saturday 14 March at Chelsea’s new bijou theatre, London Theatre Workshop.